HHR is no longer produced, as it was such a good car. 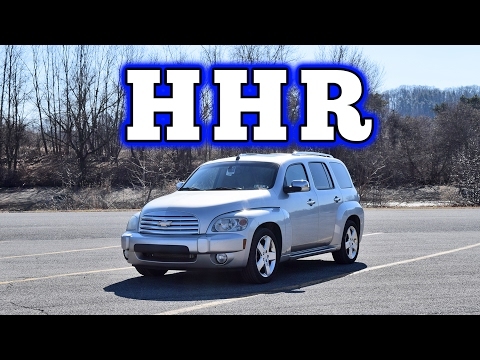 The HHR has been the perfect size combination and durability, really in all the time I have had it I have had no real mechanical issues other that which would be expected with the age of the car. I have had an accident with the car and I was told if it wouldn't have been an HHR it would have been totaled, but since the car was built on a truck chassis it was repaired and you would never know it had been through what happened to it. I bought this car new, I was able to personally design the pin striping and decoration of it, chose all the details available and loved it hoping that as it got older I could get another. Unfortunately Chevrolet has decided in their infinite wisdom these cars were too good so they no longer produce them. Reliable and safe 4 cylinder lt. Overall this has been a good quality car. The only problems I experienced were a recall on the electrical switch, replacement fuel injectors, and replacement of camshaft actuator solenoid. The solenoid could cause problems with your timing. The vehicle would not shift properly when reaching certain speeds and would cause the car to jerk extremely hard. I am the only owner to this vehicle and after 12 years and 106, 000 miles, it is still a reliable vehicle. Good maintenance and this car will be a good vehicle for years. I typically love my vehicle. It does not handle as well I would like it in the snow as it does not have traction control that I can activate myself. It is quite difficult to change out the lamps in the headlights. I do love the fact that it is great on gas mileage and has a ton of room to haul things for a vehicle of that size. If they still made them, I would buy a new version. I know that the newer models had more features. It is a solid car if a bit wimpy in more severe weather.